Nearly 1,400 current or former patients who were treated at GW Hospital donate to the Univeristy. Officials are betting that donations from patients treated at GW Hospital will boost fundraising at the medical school. GW is looking to hire four different fundraising officers to work with “grateful patients” – those treated or even cured at the hospital who could become future donors to the University. About 1,400 previous or current patients donated last year, following a steady upward trend in gifts from that group, University spokeswoman Maralee Csellar said. The School of Medicine and Health Sciences has two separate spots listed on its jobs site for a “Grateful Patient Program” development director, with the first posted in March and another that opened for applications in late August. The school is also looking for two associate directors, one to oversee development and another to lead “donor acquisition” and annual giving. 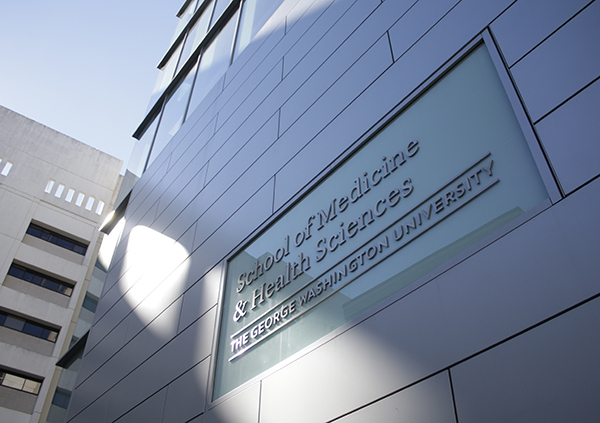 Michael Morsberger, GW’s vice president of development and alumni relations, said at a Faculty Senate meeting in 2012 that the Grateful Patients Program could easily help the medical school bring in 30 to 40 percent of all donations made to the University. Morsberger, who is leaving GW at the end of the month, said then that the program would create a more personalized fundraising process that could dramatically increase the number and size of donations the school receives. SMHS brought in nearly $21 million from private charities during fiscal year 2014, shooting past the school’s goal of raising $18 million from that type of donor. About $5.5 million came from “friends” of the school, a donor base that includes grateful patients. SMHS aims to raise $225 million – the largest goal of any other school in the University’s $1 billion campaign. The school is also making the most hires this year, while other departments have been forced to slow hiring or identify cost-saving strategies because of a $20 million deficit.